including three papers on relativity and rotation (the first three papers in the list). Abstract and summary of paper on relativistic rotation for efficient energy storage: number 3 in the list. Abstract and reviews on paper on stability of rotation: number 4 in the list. Abstract for paper on attaining high centrifugal accelerations: number 5 in the list. Abstract and partial review on thesis on stability of rotation: number 6 in the list (English) or in Hebrew. Synopsis for thesis on attaining high centrifugal accelerations: number 7 in the list (English) or in Hebrew. Abstract and conclusions of paper on the impacts that created life: number 8 in the list. Abstract of paper on new line-element derived from the variable rest mass in gravitational field: number 9 in the list. Abstract of paper on exponential gravitation with variable rest mass in gravitational field: number 10 in the list. Abstract of paper on the expansion of the Universe without dark energy in gravitational field: number 11 in the list. *** Abstract and summary of paper on role of relativistic rotation in bounceback of supernovae type II (2015): number 12 in the list. *** Abstract of a paper explaining the mechanism of tornado and the source of energy of the tornado, (2016): number 13 in the list. 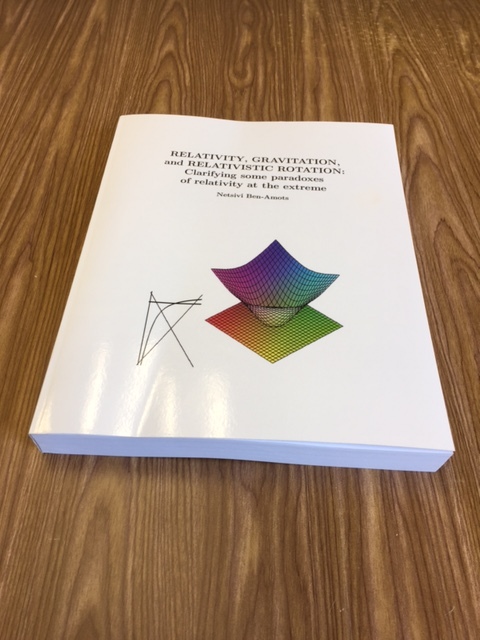 "Relativity, gravitation, and relativistic rotation: clarifying some paradoxes of relativity at the extreme"
IARD: International Association for Relativistic Dynamics from the year 2000. More on these subjects and other scientific subjects: in preparation. On tinnitus - the origin of the unexplained annoying whistle: A scientific explanation. Waking up paralyzed - not because of aliens: A scientific explanation. Dedicated to Philip Klass (1919-2005). Left side right - more on brain mysteries. Dedicated to Isaac Asimov (1920-1992). Do whales and dolphins have soul? One word in animals' language. * - Sorted according the year of death. *** - Yih's revolutionary paper on two-fluids tornado theory was allowed to be published ten years after his death! Link to lectures I have given in conferences. Link to some conferences I participates without lecturing. Link to photographs I took in journeys. This internet site is non-profit internet site. The reader/copier should obey the authors and publishers' rights and copyright. Only the person copying any part of this internet site, and his employer (if copied at work) will be responsible for any damage caused to anyone, by them or to anyone related by them (family or otherwise), or by anyone who copied from them, or any material from this internet site to computer/paper/book or paper pages, or to any other form/media, or by using the copied material by anyone. The information in this internet site is given as is, (like in a library), without any guarantee whatsoever.